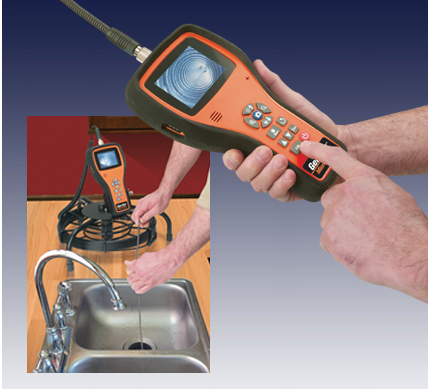 Put pipe inspection in the palm of your hand! The Gen-Eye Micro-Scope® compact handheld camera inspection tool has a bright, easy to see 3.5” LCD screen for crisp clear pictures. You can record photos or videos on the built-in SD card reader with one-touch record button for playback on the internal screen, TV, or laptop computer through a USB port. 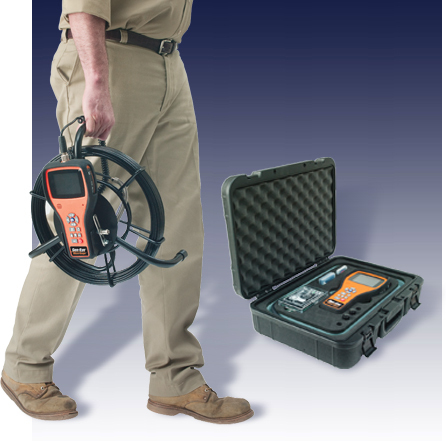 3 probe attachments – 90 deg. mirror, magnet, and hook. Gen-Eye Micro-Scope Hand-Held Command Module with 3 ft. Probe Rod and Carrying Case. Gen-Eye Micro-Scope Hand-Held Command Module with 3 ft. Probe Rod, Carrying Case, plus Open Reel w/100 ft. of Micro Push-Rod, and Color Camera.